There’s no doubt that, today, Greeks all over the world will be gathered to watch their team play against Costa Rica in the 2nd round of the World Cup. Being that it’s the first time Greece has made it this far, we’re excited to say the least. Of course, wherever Greeks gather, there is food. 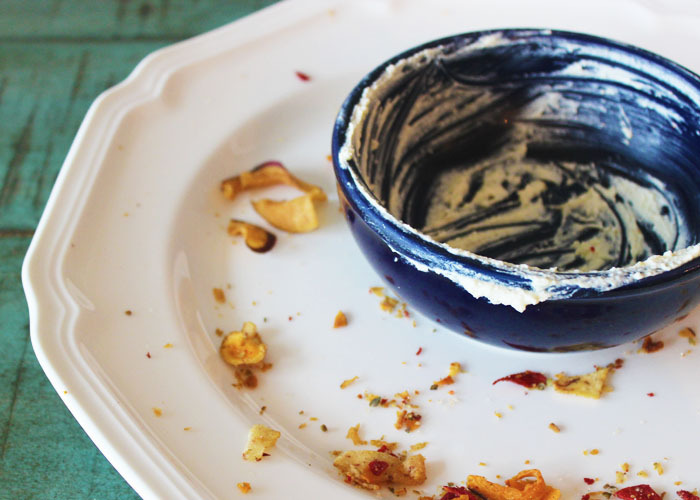 Enter: Spicy Feta Dip. 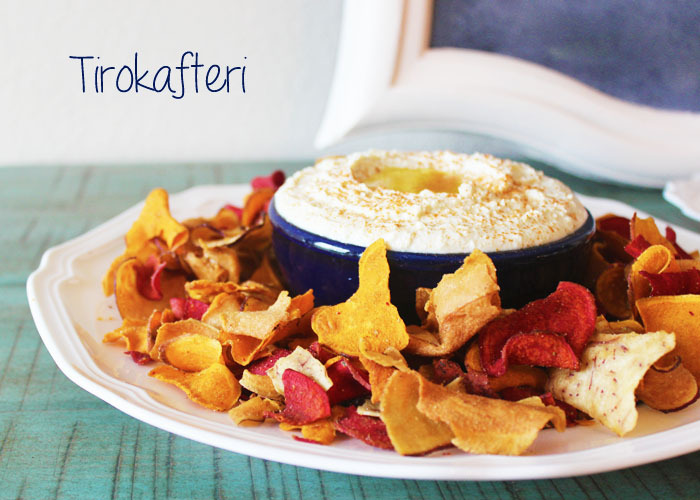 This dip with a kick, known as tirokafteri in Greece, can be made with your choice of spicy peppers. A friend shared her recipe which calls for serrano peppers and I decided to make it for the game and let me just say–it’s fantastic. Pair it with sweet chips, veggies or bread and you’re likely to have a problem putting it down. Just don’t expect to have much left over. Wash and dry the serrano peppers. Pour enough olive oil into a medium frying pan to cover the bottom. Heat the oil on medium and place whole peppers in the pan. Reduce heat to low and cover. After approximately 15 minutes, carefully flip the peppers, cover and allow to cook for another 10-15 minutes. Peppers should now be blackened on both sides. Turn off heat. Remove peppers from pan and set aside to cool for approximately 10 minutes. Meanwhile, empty the feta and yogurt into a food processor. Slowly pour the oil from the pan into the food processor making sure it isn’t too hot before pouring. When peppers have cooled enough to handle, peel off and discard the blackened skin. Remove the seeds from some or all of the peppers to control the spiciness of the dip. Toss the peeled peppers into the food processor and blend until dip is smooth. 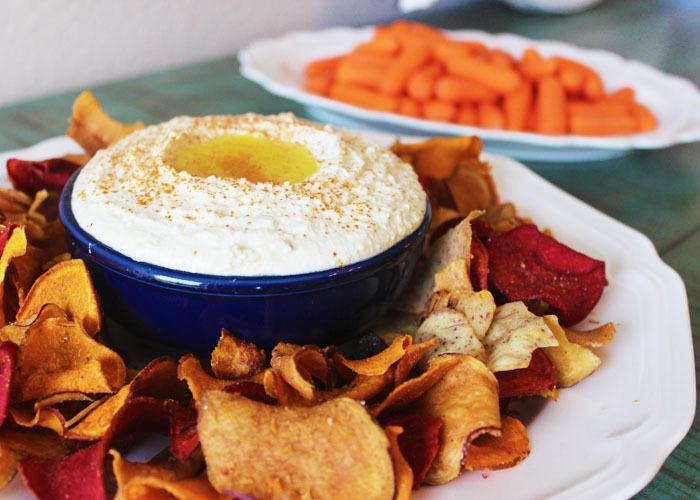 This pairs well with sweet chips, bread and vegetables including sweet potato chips, carrots and bell peppers. It looks awesome !!!!! And by the looks of the second picture, must taste delicious!!!! Love it!!! !